I was thrilled to be asked be Gemma and Nick’s Abbeywood Estate wedding photographer! 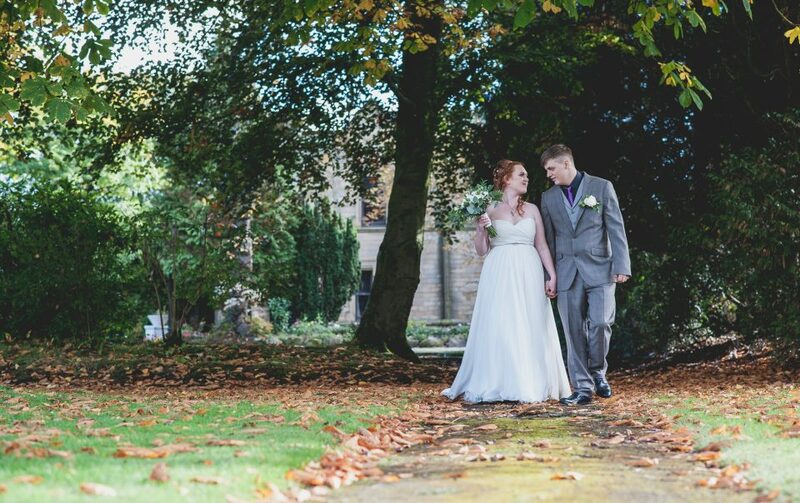 Abbeywood Estate in Cheshire is a stunning venue which combines a friendly, relaxed vibe with a classy image. The formal and informal gardens ensure there’s plenty of room for guests to spread out and relax, weather permitting, while the indoor areas – the cafe and the greenhouse – are great places to sit and relax and hold your wedding ceremony. 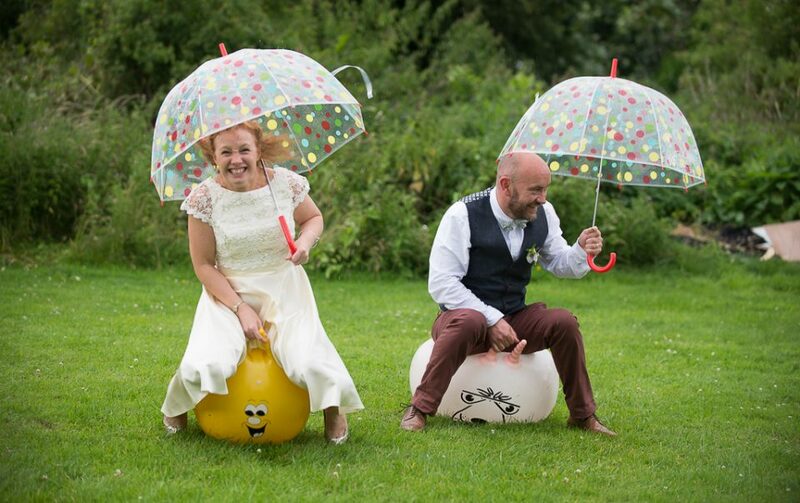 I first met Gemma and Nick at a wedding fayre in Manchester. They told me they wanted nice photos but with a relaxed approach and no fuss. That suited me just fine! I started with bridal prep at Abbeywood Estate’s outhouse. It was a pretty busy prep session with the mums cackling on the bed throughout! Our bride became very excited when she heard her husband to be had arrived. She couldn’t help but have a sneaky peak out of the window! The wedding ceremony was really nice. Nick got a little emotional but was fine in the end. The first kiss was quick but I loved how Gemma savoured the moment. Everyone moved outside to relax in the beautiful grounds of Abbeywood Estate. We had a few couple portraits and then moved over to the back of the house for the group photos. A wedding guest was a keen photographer, as you can see in the photos! After this everyone really let their hair down. I ran round photographing all the interesting moments including ‘power-bowls’ and selfies with a really friendly horse! The speeches were great, as they always are and then we relaxed and waited for the evening reception to begin. The first dance was a slow number but then everyone hit the dance floor. I love a busy dance floor and Gemma, Nick and their guests definitely delivered on that one! I really enjoy shooting at Abbeywood Estate. If you are thinking of tying the knot here why not get in touch to see if I am available or check out some more of my work. I offer wedding photography with minimal posing (or none at all, if it’s not your cup of tea!) so you can enjoy your wedding day without being interrupted.